CanCooker Jr. | BUDK.com - Knives & Swords At The Lowest Prices! 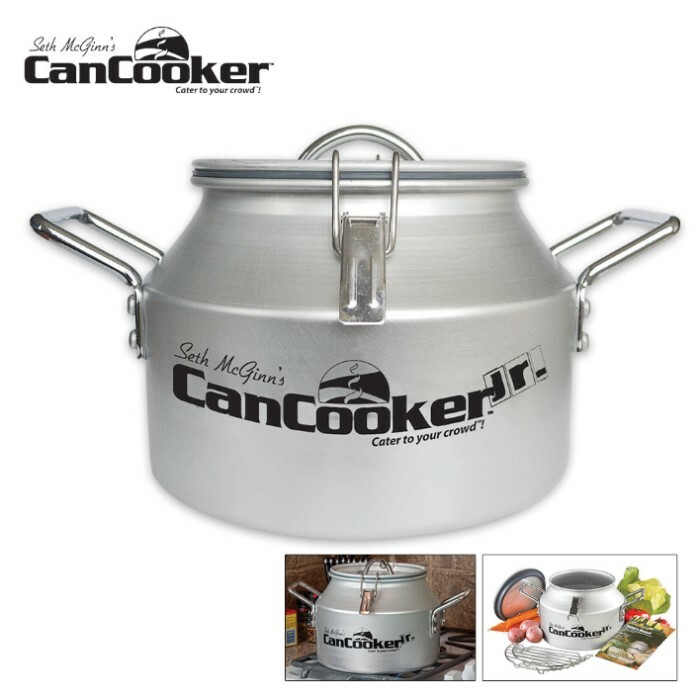 Taking the tradition of using a cream can to cook in on cattle drives, CanCooker has revolutionized the process with its completely versatile cooking vessel. 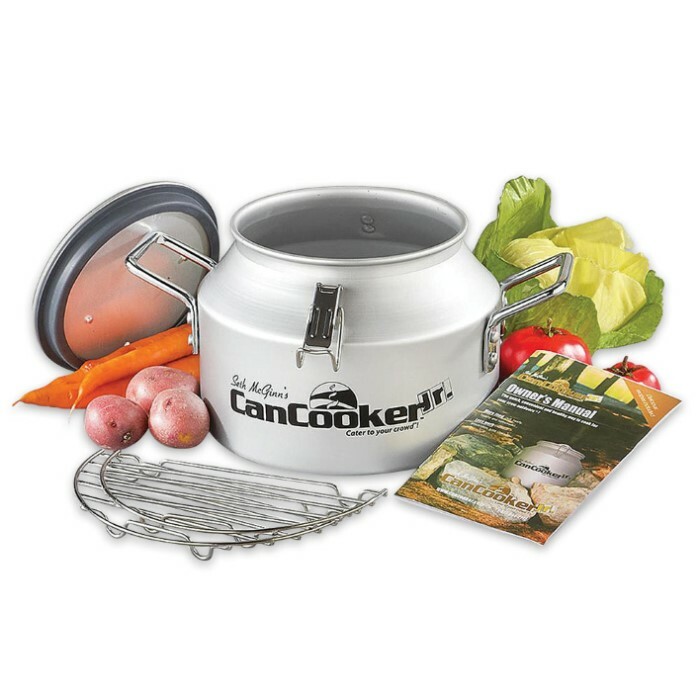 You can cook a healthy meal with the power of steam on any heat source from stovetops to campfires and barbecue grills. It is constructed out of food grade anodized aluminum with a high-temperature silicone gasket that traps the steam that is released when the water boils. Your food is cooked thoroughly and efficiently but stays tender and it doesn’t stick to the sides of your cooker. It features riveted heavy-duty handles for easy transportation, a vented lid to relieve excess pressure and safety clamps to keep the lid in place. It has a capacity of 2 gallons and can feed up to 8 people. A protective storage bag is included. 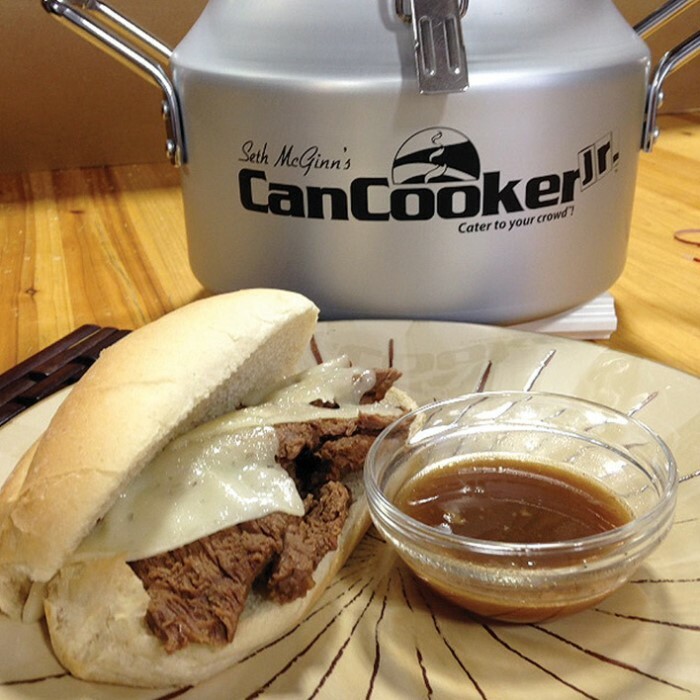 The CanCooker Jr. can be used indoors or outdoors. In about an hour you can create a delicious and complete meal. Added features it is light weight and easy to clean. Love this product for tailgating and camping. I have 2 one for use in the house and one for camping. I love how versatile it is for simple things like purifying water and making freeze dried foods. Also how you can make complex foods like a whole meal in under an hour while you go split wood or finish setting up camp.